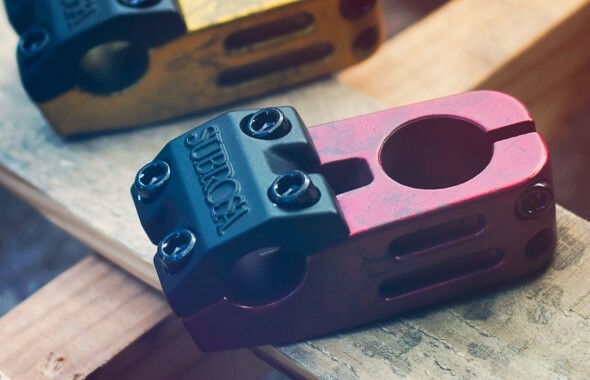 Subrosa “Hold Tight” top load and front load stems for only $29.99 each – NEW COLORS! Subrosa “Hold Tight” stems come in top load or front load styles and come in some really cool colors! Cast aluminum body with recessed sides and bottom. Forged 6061-T6 alloy cap with molded Subrosa logo. Reach: 53mm. Weight: 11.2 oz. These stems are designed for the rider who’s on a budget at only $29.99 plus sh/h. Click HERE to see available colors, complete spec info, and to order yours now!